Who would have thought that a factory in St Petersburg, Russia making cameras for spyware in the 1980s would be reborn as the source of one of the today’s most popular cameras? It all began with the unearthing of the Lomo Kompakt Automat by two Austrian students in the early 1990s. Ever since then Lomography has taken the world by storm. 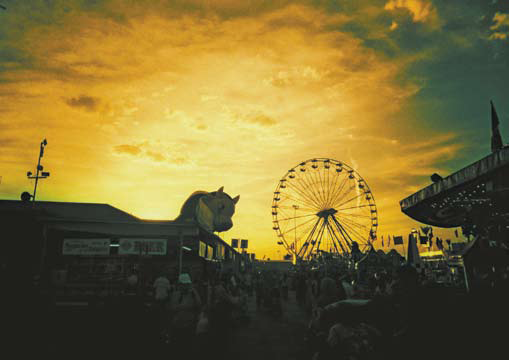 What began as an artistic approach to produce bright and brilliant photographs has now been transformed into a much larger cultural movement of Lomographic artists who are determined to share their snapshots of the world. Karen Boudakian is the director for the Australia and New Zealand markets and has been involved in the recent launch of La Sardina, a collection of four stylish cameras destined to change the analogue user’s perception of photography. The camera cases have been inspired by a simple can of sardines. They’re light and the feel is almost ‘plasticky’. This isn’t necessarily a disadvantage as you’re far less likely to worry about the outside surfaces getting scuffed and the really important part (i.e. the wide angle lens with an 89 degree angle) does have a lens cap. There are other advantages as well. “I love the fact that these cameras have different filters, come in handy pocket size and the graphics are just simply beautiful,” says Boudakian. And it’s easy to do. The La Sardina cameras are built to be user friendly, the proverbial ‘window of opportunity’ is always open and users are encouraged to shoot from impossible angles, try different films and, most importantly, experiment while having the time of their lives. The Lomography cameras are analogue so the obvious comparisons to digital camera advancements are inevitable. You cannot instantly view the image you have just taken and deletions and extensive editing are only possible in postproduction processes. There is undoubtedly a time and money factor involved – but the quality of the photography is unique. For the standard 35mm camera, films include colour negative, colour positive (also known as slide or transparency), and black and white, allowing you a range of different options to exercise your creativity. The only obvious disadvantage is that because the camera is designed to be stylistically simple, there aren’t that many options available. For example, it isn’t possible to add different lenses. The camera also has limited manual features, making it almost impossible to achieve the degree of precision that you would with an SLR or other advanced point-and shoot cameras. However, having said that, the La Sardina camera does give you the freedom to show the world your view and to do so in an array of dazzling colours and distinctive styles. 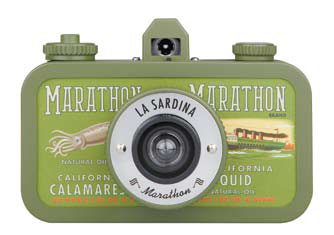 The La Sardina camera doesn’t define you – it gives you the option to define the world as you see it. ← Korean Film Festival comes to Melbourne!